SERVPRO responded to find a pipe break in the wall. There was a significant amount of water in the floor. The air scrubber was put in place along with other drying equipment for quick drying. No matter what size disaster you have or what time of day it occurs, we are equipped and ready to respond. We are available 24 hours a day, 7 days a week to take your call. If you have a disaster in your home or business, you need a fast response from a reliable team of professionals you can trust. Give the pros at SERVPRO a call. We are faster to any size disaster. No matter when your disaster strikes, we are here for you. Our team is available 24 hours a day, 7 days a week, 365 days a year to respond to your disaster. Just give us a call! When your home or business suffers from a water loss, moisture that is not addressed within 24 to 48 hours can cause secondary damage such as mold to begin to develop. That is why we use drying equipment to help speed up drying. This image shows some of the equipment we brought in to help expedite the drying process after this facility experienced a water loss. If your business has a water loss like this, give us a call! 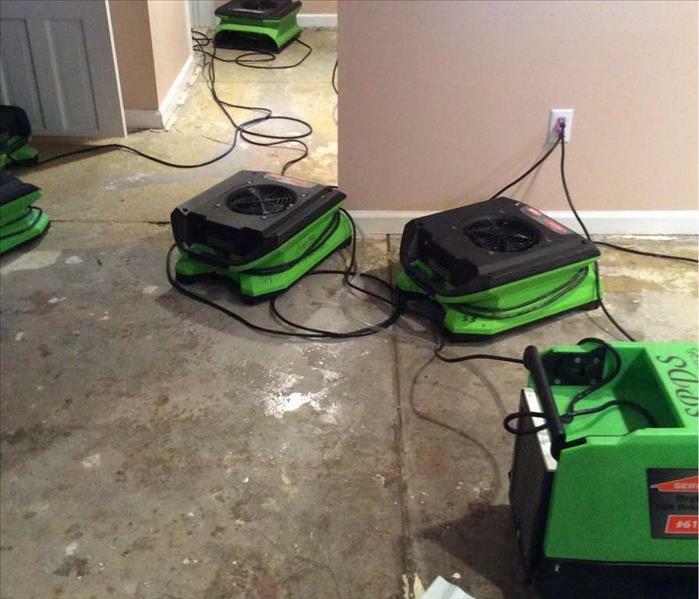 The crew of SERVPRO of Dover/Stillwater aren't just experts in disaster restoration services, we also provide other services such as carpet cleaning. Regular cleaning can help to prolong the life of your carpet. 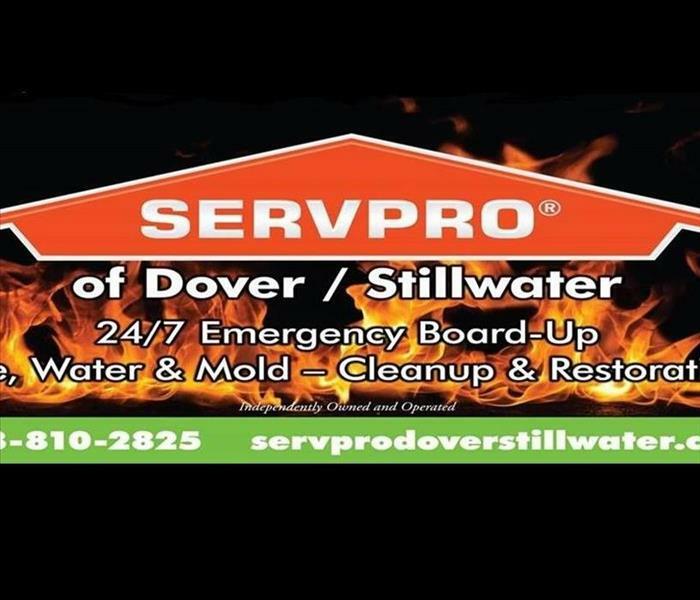 At SERVPRO of Dover/Stillwater we are more than just a business. We are family! You can count on us to always be ready to help your family like we would our own. This image shows us working to save these hardwood floors after a water loss impacted this structure. We were able to get all the moisture dried and left it looking "Like it never even happened." In this image, you can see two of our technicians working hard to make this living room look "Like it never even happened." If your home suffers a water loss like this, give us a call! When this home suffered flooding due to a water loss, our team was called in to clean up and repair the damage. As you can see, we brought in drying equipment to help us dry up the moisture. We brought in drying equipment to help us dry out this basement after it was impacted by a water loss. If your home or business suffers a water loss, give us a call. We are faster to any size disaster. Here you can see flood cuts we performed after this home was damaged by a water loss. A flood cut is simply the process of cutting out drywall to a few inches above the flood line so that we can make proper repairs to your home. 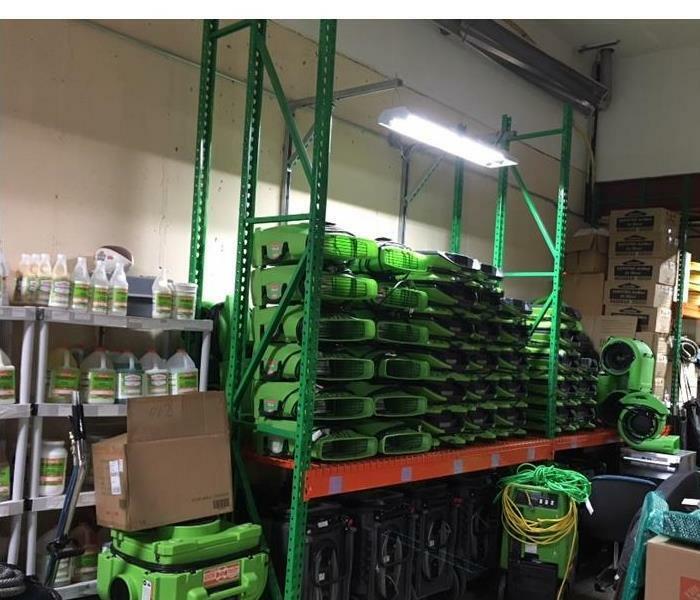 In this image, you can see an example of some of the drying equipment we often use to help speed up the drying process so that further damage can be mitigated after a water loss. Storm problems in Dover, NJ. The water from a strong storm invaded the ceiling of this basement and part of the first floor of this home. We worked diligently to clean, dry, and restore each of the areas affected in this home. Storms are hard to predict and damage to your property can happen. Therefore, please know that we are here 24/7 to help if you ever need us. Storm issues in Vernon, NJ. A strong storm during the night was the one to blame for the ceiling and floor destruction at this home. The accumulation of rain water can cause severe damage to your property. When that happens you need a team of professionals that can help you to restore your home and make it look "Like it never even happened." We are that team. Give us a call 973-810-2825. Water Loss in Lake Hopatcong, NJ. This floor was compromised by a water loss in this home. Due to the amount of water and the kind of material that we were trying to dry, we decided that the best course of action was to place a drying mat system and air movers to achieve our drying goals. At the end the floor was dry and we made it look "Like it never even happened." 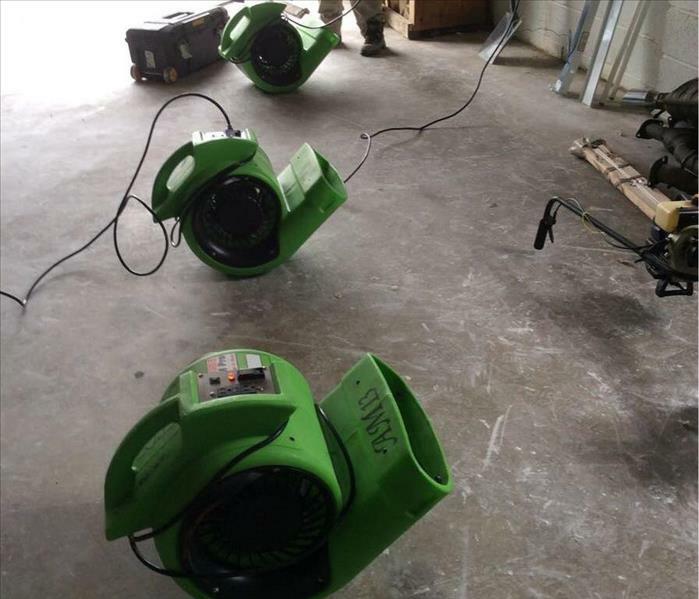 We have the equipment necessary and the experience to identify the best drying plan to restore your home from a water loss. We will make sure to explain the process and answer all your concerns before we start to restore your home or business. Water Loss in Wayne, NJ. 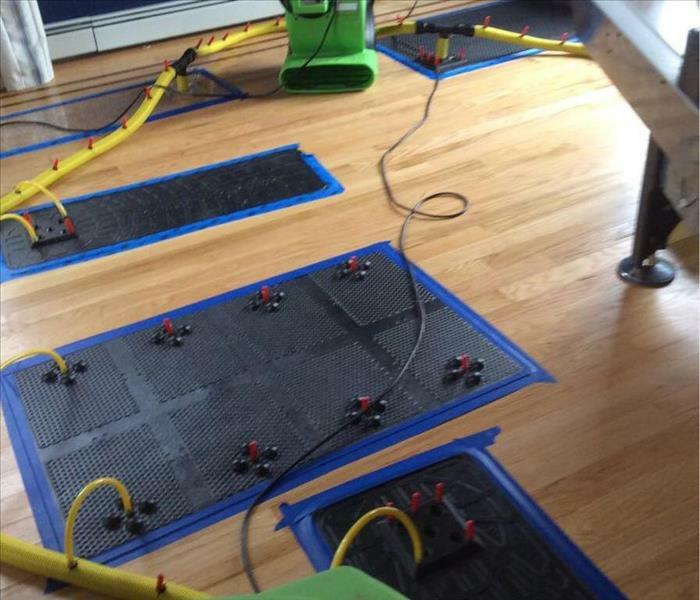 The floor and carpet in this picture were affected by a water loss due to a burst pipe. This family room was affected late during the night. Since we are a 24/7 restoration service, our clients called us and we got there in no time. We arrived removed the standing water and then we were placing the equipment needed to dry out the affected areas and materials. Let us assure you that we can be of help at any time that you have an emergency. Please do not hesitate to call us 973-810-2825. Commercial Water Loss in Morris Plains, NJ. Big concern! Is what we heard when our customer from this business that called us because of a water loss. Once we arrived to his office we understood his concerns, a big part of his office carpet was wet and it was threatening his computer systems. We acted fast and removed as much of the items needed to preserve them and to start the carpet drying process. We spent long hour helping our client, and at the end we were happy to help him to restore his property and help him to be open for business with all his systems in place. Commercial Fire Loss in Hackettstown, NJ. This devastating fire on one of our neighborhood businesses was massive. We got to this site and even thought we were glad that everybody was ok, we were heartbroken by the destruction of this site. As a business, we understand how difficult this situation is. Therefore, we make sure that we arrive on site as soon as possible to start the recovery process, so that your expecting closing time is less. Fire Loss in Hackettstown, NJ. This was an extensive fire loss, we explained to our customers how we were going to proceed and once we did that we started the remediation process. We started our cleaning process and tried to salvage as many sentimental and valuable possession as we could. A fire loss is a difficult situation to deal with and we understand that. Therefore, we try our best to help you and assist as many of your needs as we can. We have the equipment, the highly-trained technicians, and the knowledge to help you if you ever need us for a situation like this. This picture represents the sad truth of the damage that a fire loss imposed on a family's property. It is a picture of how what it seems to be a small fire can become a large life altering experience in just a few minutes. Today we are happy to tell you that no one got hurt during this incident and that we helped this family as much as we could trough the recovery process. That day, once we got the call we went to the site as soon possible to start the boarding up process and to start trying to assess which items could be salvaged. Even though we wish that no one has to go through a situation like this, we want to remind you that if you ever need us we are here. We are available 24/7, just give us a call and we will be there 973-810-2825. Severe Mold Problem in Stanhope, NJ. This was an extreme situation. When we went to this customer's property and realized that the mold had invaded almost the entire ceiling we knew we needed to set up an action plan and we needed to start working right away. With the proper PPE and highly trained technicians, we proceeded to inspect each of the affected areas and explain to our customer the course of action. At the end we were able to perform the mold remediation, our clients were happy and the most important thing they were safe, and we created another good relationship with the people form our community. Mold Issues in Livingston, NJ. This picture reflects what happened to one of our customer who did not know that there was a leak in his utility room. Unfortunately, mold grows fast and it did in this case. As you can see it was spreading to the walls and that is how he noticed something was not right. When he realized this, he gave us a call and we were able to assist him. 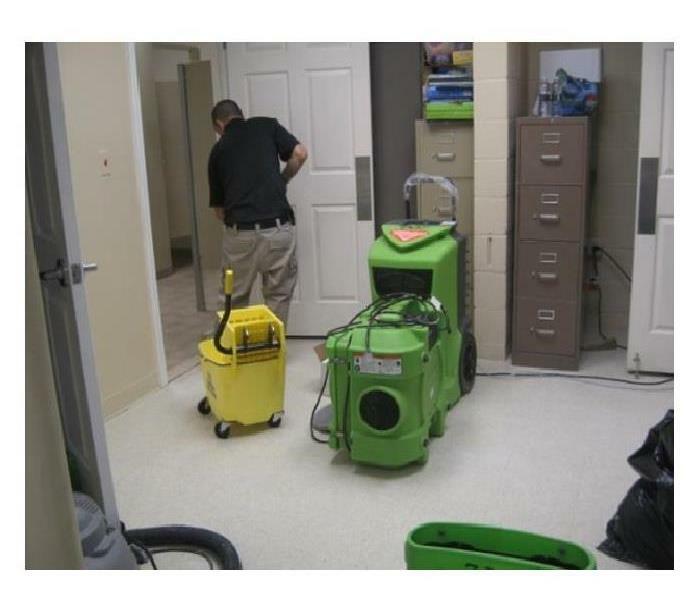 We brought the equipment necessary to clean, dry the areas affected, and kill the mold. This business suffered a water damage in the middle of the day. After they called us, our team responded and got there within minutes with the equipment necessary to stop the water source to avoid further damage. In this picture, one of our highly- trained technicians is taking action in eliminating the excess of water. 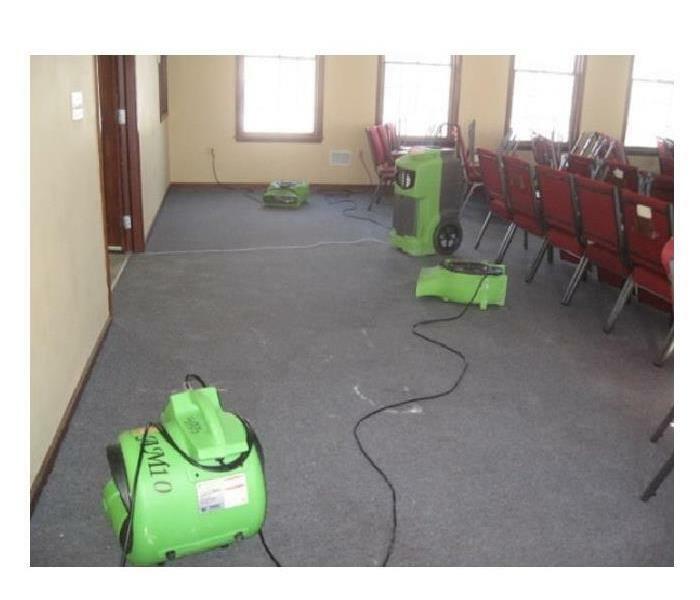 After the dehumidifiers, water extractors, and other equipment were removed from site, our customers were able to continue performing their jobs. They trusted us in taking care of their needs and we were happy to serve them. A conference room was affected by a water leak in the adjacent room. The carpet was absorbing the excess of water from that room and we needed to act fast. We are ready 24/7 to answer your questions and to take care of any type of disaster that affects your business. After a heavy storm the roof leaked and part of this family's ceiling started collapsing. There was severe damage done to this home. 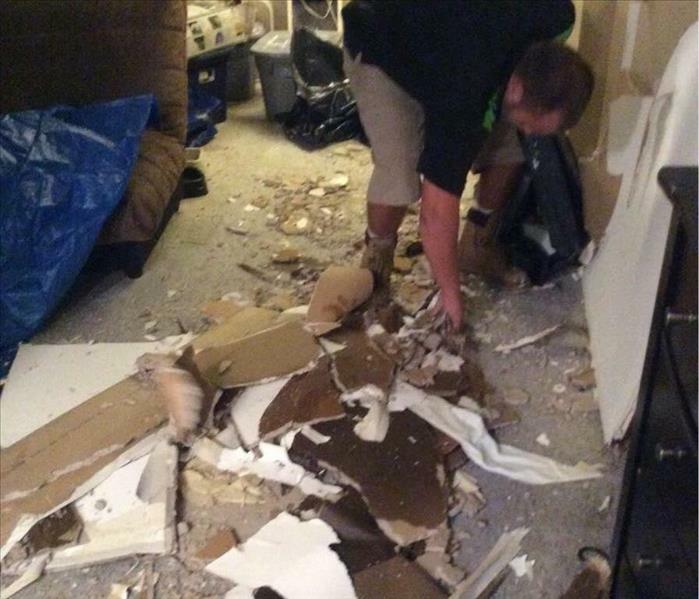 An excessive amount of water caused part the ceiling to fall in this family's room. After making sure that no one was injured, we started our job. We removed all the contents that were going to be stored at our warehouse while repairs were being completed, we secured all the items that were staying at the house, and we cleaned all the pieces of ceiling that could become a safety hazard. We dried and sprayed the area to prevent any mold growth and to kill any possible bacteria growth. We were able to help our customers, and after the repairs were completed we delivered the stored items back. The room looked like new and we were happy to be there to help. 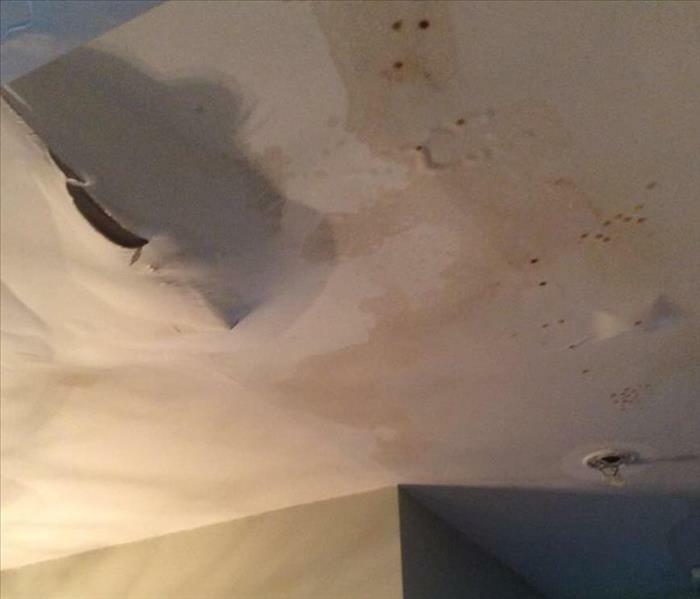 This customer woke up to find this damage on their ceiling after two days of heavy rain. We are here 24/7 to provide you, your family, and your business with highly trained crews and the most state of the art equipment. Our trucks are ready to take care of your needs at any moment. That is how we arrive, prepared and within minutes of their call. We controlled the leaks, we repaired the damages, and cleaned all the areas affected. This is an example of one of our common calls. A leak after a storm or heavy rain. We are here ready and willing to help you. You can trust our expertise, we will get to your home/business quickly, we will explain the process, we will work directly with your insurance company, we will clean and restore your property, and we will make sure that you are satisfied with the results. We are committed to serve our customers and our community. Water can cause extensive damage to your property in a short period of time. That is way we are here to answer to your needs immediately. After a pipe burst in this customers' home, they contacted us and we started working right the way to help them to restore their home. 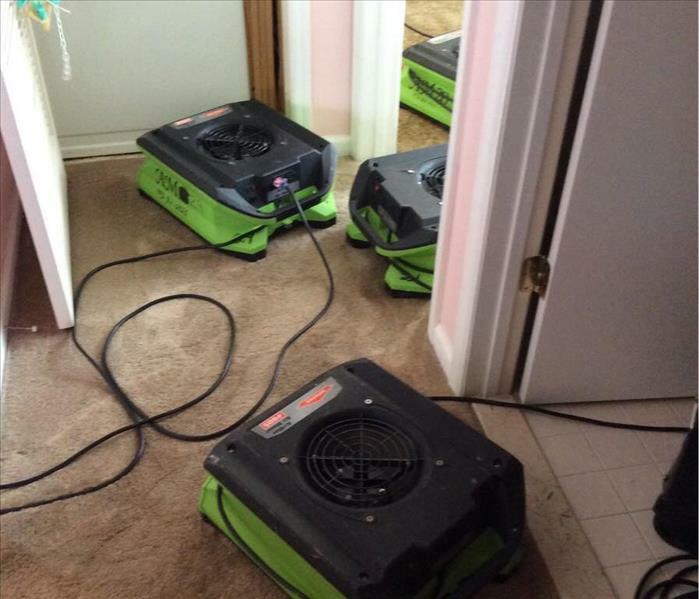 We brought all the equipment and man-power necessary to prevent mold and further damage. We removed all the excess of water, we monitored the drying process, we sanitized the contents in each of the areas affected, and after some minor repairs we restored this home to preloss condition. This family was extremely satisfied after we completed the job. 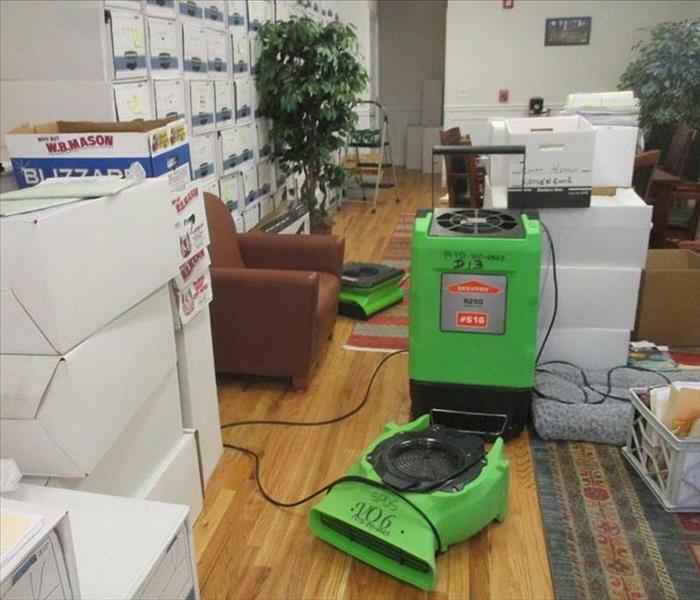 We were called by a business owner after he found an excessive amount of water in his office. We explained the drying and cleaning process and assured him that after we performed our job, his office will look "Like it never even happened. " We provided the equipment and the professionals to take care of his business. We completed the job, our client was pleased, and he was able to resume his duties the same day. In Case Of Disaster We Are Ready To Assist! It is hard to predict when a disaster will happen. Therefore, we are here to assist you 24/7. We have the equipment, resources, and crew ready to respond to any emergency loss. In time of disaster call us, we will make it look "Like it never even happened" 973-810-2825. This one make us really proud. This store was seriously affected after a car drove through it. Once we got to this site we were able to get hands on and we had them re-opened and ready in four hours. We understand your needs, therefore we work as fast and safe as we can to help your business and make it look "Like it never even happened." 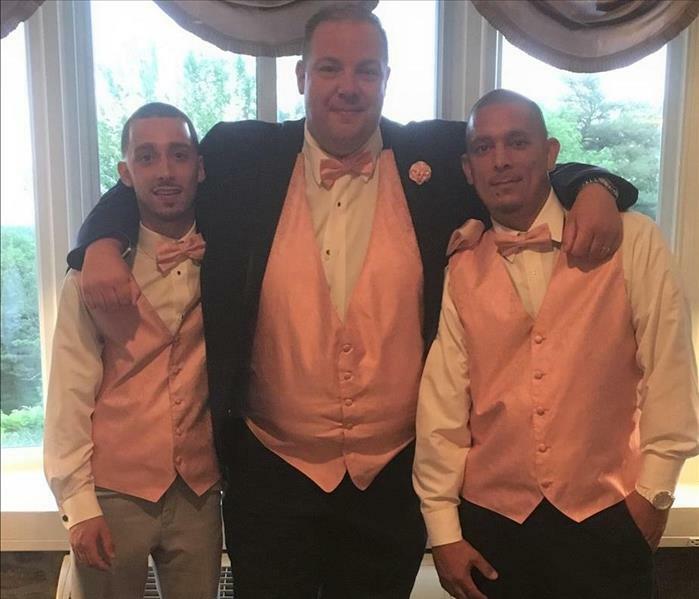 We were able to help this business, let us help yours as well 973-810-2825. This family noticed some water leaking from their vanity and decided to take action. After the vanity was removed they found mold growing on the walls. We explained to them that mold can spread fast and we needed to act as soon as possible because it could affect their health. Our team is highly trained for these kinds of situations, so we managed to remove and clean all the areas affected by mold and our customers felt safe and happy once we completed the job. When ignored a water drip can fuel dormant mold spores with sufficient moisture to eventually cause the destruction shown in this Hopatcong wall. SERVPRO techs can deconstruct the non-salvageable mold damaged building elements, apply an antimicrobial and prep the area for a rebuild. This picture was taken before we started to clean the affected areas. We removed the carpet, cleaned the floors, and made sure that it was safe for this family and their pets. Once we completed the job, this home was spotless. 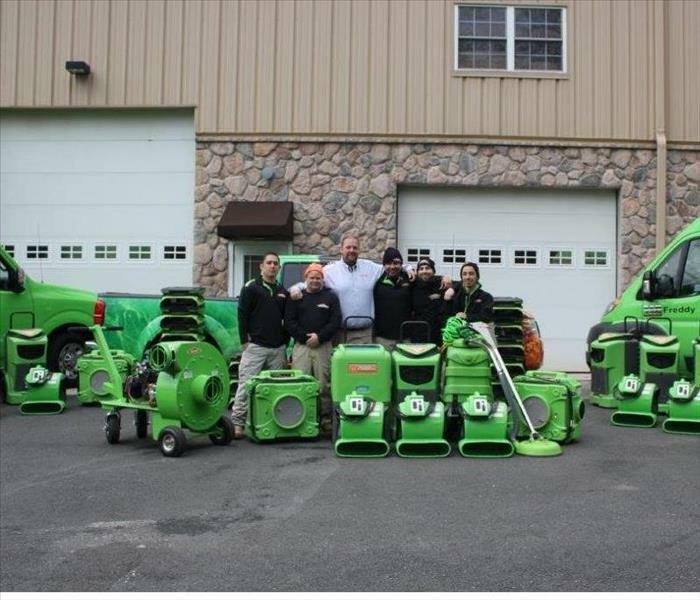 We are committed to provide you with the best service and the best equipment in the industry, please call us and we will happy to help you to restore any water, fire, or mold damage to your property. Oven fire. This type of damage can happened in any home and our customers know that they can call us to fix it. When this family suffered through this incident in their kitchen, they called us, and in no time we cleaned it up. We understand our client's needs and we were there to make sure that their home was a clean and safe place for their family. Smoke can cause a lot of harm to your property. In this case, this kitchen was affected by smoke caused by a fire. 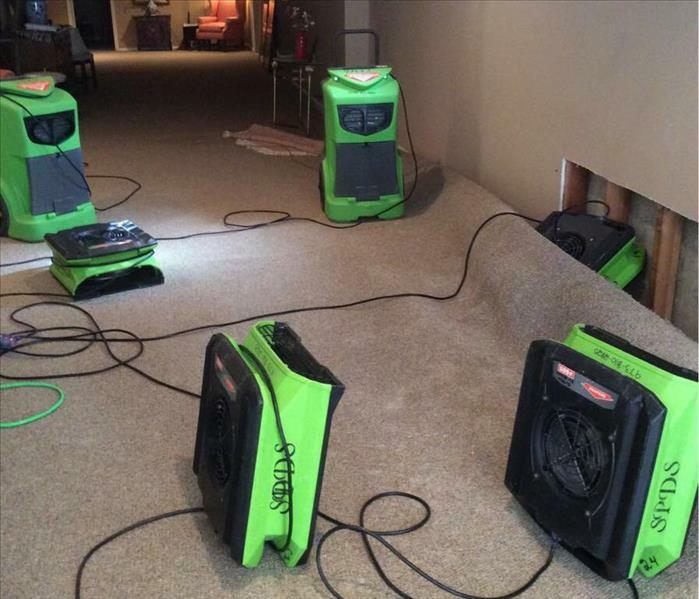 SERVPRO of Dover/Stillwater has the equipment and the qualified personnel to take care of this kind of damage. We cleaned this kitchen and made sure that it was impeccable before we left. Another great job where our customer's satisfaction was our top priority. The Photo illustrates the fine work done by our SERVPRO FSRT fire & smoke restoration technicians after a minor fire in a Dover area home. No stains, no odors--"Like it never even happened." Now you know who to call for help. 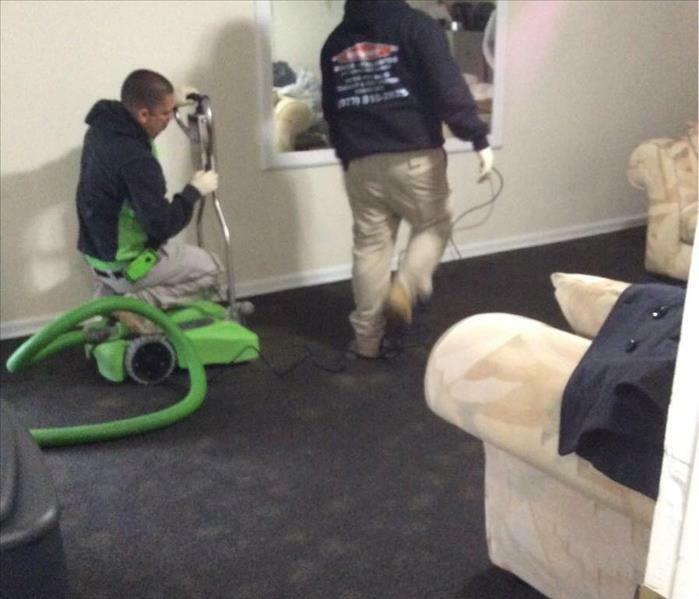 One of our exceptional technicians performing a weighted extraction in the effort to save the carpet and pad. This machine is called a rover and has a electric motor we drive across wet carpet to remove the water in the carpet and the pad below. We cleaned it all. Every single item was cleaned after this job was done. There were multiple items that needed special treatment and we dedicated our time and resources to make sure that this place was spotless when we left. Our customer was amazed to see the results and the quality of our job. Once we got to this site we knew that we had to clean every item without exceptions. Our team of professionals took good care of this family. We stayed there until we were done and at the end we made it "Like it never even happened. " We would be honored to do the same for your family should you ever need us. When customer got back from vacation they found there was a ice dam while they were away. since the water sat it turned to mold. This is a child's room. We take great care to make sure the family is safe and the mold is removed properly. Sometimes the mold sits so long that mushrooms grow. This was a very extensive loss and took some time as the entire home was affected. But we will not stop until it is safe and clean. This was a frozen pipe that turned from water to mold. very extensive damage. It is time consuming because of the gear that is required when working in a condition like this. Water came in from washing machine and flooded the lower level. Then is was not dried properly and turned to mold. We were then called in to make it safe.